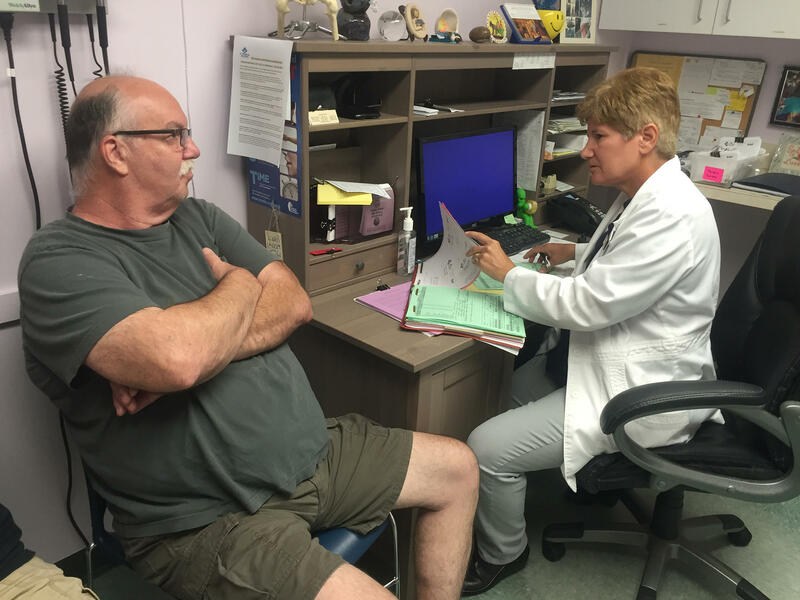 St. Petersburg resident Philip Ertel visits Dr. Trudy Grossman at the St. Pete Free Clinic for refills on his diabetes and cholesterol and medications. It's a busy Monday morning at the St. Petersburg Free Clinic, and Philip Ertel is here for a check-up. The 60-year-old needs refills for his diabetes and cholesterol medications. Dr. Trudy Grossman pulls out a stethoscope and checks his lungs. He takes deep breaths in and out. Ertel works full-time in a restaurant at a hotel on St. Pete Beach, but he doesn't have health insurance because he can't afford the monthly premiums. "I bring home 300 dollars a week,” Ertel said. “Between my wife and I, that's enough to pay bare minimum. We pay the bills and it's just enough to get by." Ertel makes too much money to qualify for Medicaid. He’s one of about 2.8 million Florida residents who are uninsured. 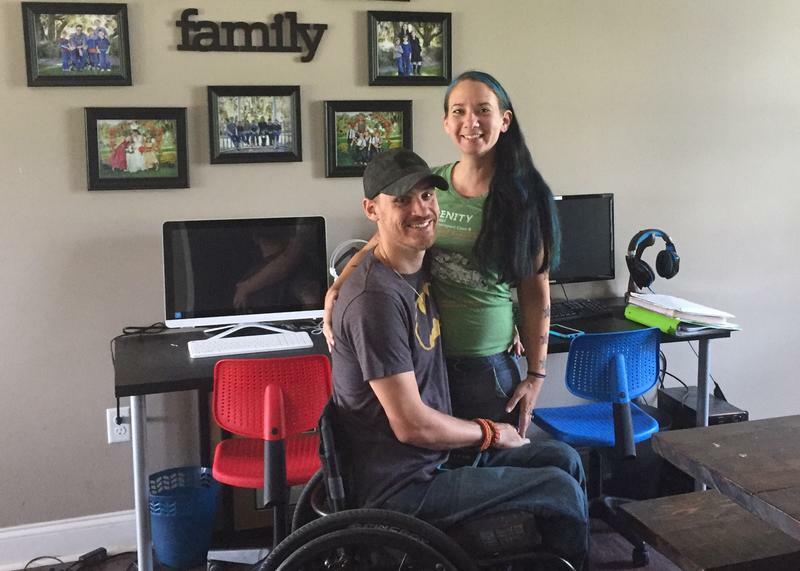 The Affordable Care Act, also known as Obamacare, offered to pay for states to expand the program to cover more people like Ertel. The states would eventually have to pick up ten percent of the cost. According to a Kaiser Family Foundation survey, 567,000 Floridians like Ertel would be covered under that plan. But most states with Republican governors, like Florida, refused Medicaid expansion over concerns about cost. Political analyst Windy March said incoming state House speaker Richard Corcoran has also vowed to block it. "He made a speech on the House floor ardently drawing a line in the sand and saying the House absolutely will not consider Medicaid expansion,” March said. “'We won't dance' was the phrase he repeated over and over again during the speech." Corcoran and other vocal opponents of Medicaid expansion turned down , or did not respond, to requests to comment for this story. In the past, they’ve raised concerns that the federal government will eventually stop paying for the expanded program, leaving the state burdened with the full cost. According to a recent survey by research firm Nielsen, 68% of Floridians favor expansion. Health care advocacy groups like Florida CHAIN continue to push for it. Democrat Mark Pafford leads that group. He’s also Florida’s outgoing House Minority Leader - he's stepping down because of term limits. He believes if advocates continue to push, expansion will eventually happen. "The legislature is like this living organism and you can't allow it to shut down,” Pafford said, “and part of that means you have to keep issues like a massive effort to provide health care to every Floridian…you have to keep that alive." All of the seats in the Florida legislature are up for re-election on November 8, but analysts like March don’t think Democrats will make enough gains to push Medicaid expansion through. Candidates are not making it a campaign issue either. "You will definitely hear Democrats talking about it, but that's more of a rhetorical flourish than setting the groundwork for any concrete action,” March said. “I think they know that it's not going to pass but they'll use it as a rhetorical and political weapon against the Republicans." Meanwhile, charities like the St. Pete Free Clinic continue to help where they can. Beth Houghton, the clinic’s executive director, said she would lose a lot of patients if Medicaid expansion happens, but that’s ok.
"We would love to put ourselves out of business,” Houghton said. Political watchers think the next time that could be a real possibility is after 2018, if a Democrat should win the governor's mansion. Copyright 2016 WGCU Public Broadcasting. To see more, visit WGCU Public Broadcasting. Coffee-colored water gurgles near the W.P. Franklin Lock and Dam. 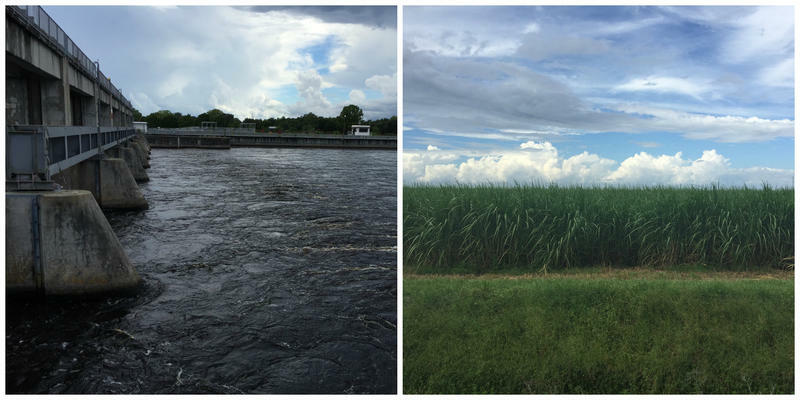 It flows down the Caloosahatchee River, roughly 30 miles from Fort Myers. Transparency is the new buzzword in health care with consumer demand fueling changes to state laws and giving birth to websites that publish prices for medical procedures. 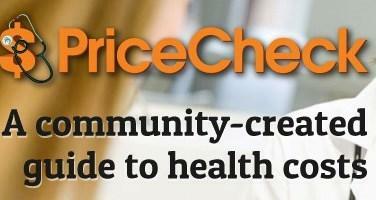 WUSF partnered with WLRN in Miami to launch their own database called PriceCheck. But we're not the only game in town.